After Buzzfeed wrote an article on Jan. 17, 2019 alleging that Donald Trump told his lawyer Michael Cohen to lie to Congress, the Democrats are demanding impeachment proceedings start against the President immediately. Buzzfeed quoted two federal law-enforcement agents as sources. They reported Trump allegedly asked Cohen to falsify information about the Trump Tower Moscow deal when questioned by Congress. 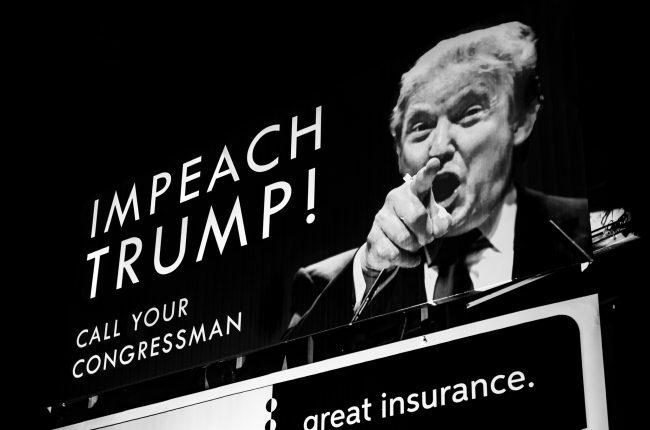 After the story was released, several Democrats in the Congress and other individuals associated with the party demanded Trump resign or be impeached for his actions should the story be true. Rep. Joaquin Castro who is a member of the House Intelligence Committee tweeted on January 18, if the story is factual, Trump must resign immediately or be impeached. Democratic Senator Jeff Merkley tweeted on Friday if the report is truthful and Trump participated in false statements he has committed a felony and must resign now or have Congress impeach him. Democratic Rep. John Yarmuth tweeted if this is true and it appears to be, Trump committed perjury which is an impeachable offense, and the House should begin impeachments hearings immediately. Former Attorney General Eric Holder who has not ruled out a Presidential run in 2012 tweeted if the allegations are factual Congress must start impeachment proceedings. Former acting Solicitor General Neal Katyal spoke with CNN and said if the Buzzfeed story is corroborated, Congress would have no choice but to start an investigation into impeachment. The Chairman of the House Intelligence Committee Rep. Adam Schiff tweeted the allegations of perjury by Trump before the committee over up his involvement with the Russia Trump Tower deal is one of the most severe claims to date. Everything will be done to verify the facts. Democrat Rep. Ted Lieu, who is on the House Judiciary Committee, tweeted that not only did Buzzfeed report Trump obstructed justice and may have committed other felonies, it time for the House Judiciary Committee to hold hearings to determine if the President of the United States committed high crimes. Connecticut’s Democratic Senator Chris Murphy who may run for President in 2020, asked Robert Mueller to let Congress know as soon as possible if they have any information that confirms Trump ordered Cohen to lie to Congress. He stressed that Mueller should not stop his investigation, but he needs to show Congress what he has before it is too late for them to act.